R.W. Wilson Printing Company, a family owned and operated business opened its doors in 1956. It’s our attention to detail, quality and service that has kept us here for over 45 years. a larger facility in St. Charles, IL where the company remains today. With our far reaching reputation and abilities, R.W. 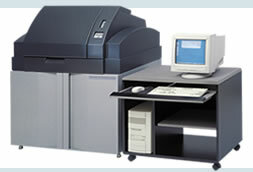 Wilson Printing has worked with customers spanning the country. From California to North Carolina to Canada to Texas, our coverage is broad. On a more local level companies such as Houghton Mifflin, Richardson Electronics, Merlin Muffler and local artists of the Fox Valley come to us to receive the highest level of quality, service, respect, and attention to Detail for their projects. In R.W. Wilson's long history we've worked with clients in basically every industry imaginable. Some of the more common are listed below.